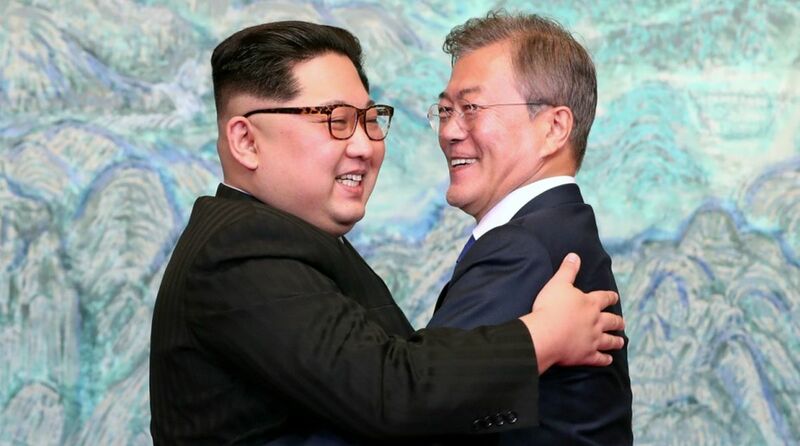 The recent detente between the two Koreas has triggered an intense debate in South Korea on the reunification of the two countries divided since the 1950s. Opinion is sharply divided on the zeal and speed with which President Moon Jae-in has been working on rapprochement with North Korea ‘strongman’ Kim Jong-un that is expected to pave the way for the reunification. Ask any youngster on the streets of the capital city of Seoul if he is in favour of reunification, there is no clear-cut answer. “I really don’t know if unification will be good for us. From the emotional point of view, I would certainly like my grandmother to meet her long-lost relatives in the North but in practical terms we, in the South, stand to lose a lot in terms of employment opportunities and other benefits we enjoy as a society,” said Seo-yeon, a university student. When the same question was put to an elderly looking person, his prompt response was that unification must take place sooner rather than later. His contention was that the unification would help the two Koreas to drastically cut down their defence expenditure and divert funds to social causes like employment, education and health. The unification would make Korea a strong nation that would no longer have to depend on others for protecting its sovereignty and independence, he said alluding to Seoul’s over-dependence on the US in security matters because of the fear of the North. There are also those who believe the unification will not be an easy task after all, given the opposition the process might face from the two dominant East Asian powers, China and Japan, which obviously would not like Korea to become strong and stare them in the face. For many, the idea of unification is far-fetched. Decades of division have created a wide economic and cultural gap that experts say could take years to overcome. To an extent, unification has lost some of its appeal to a generation of young people who have no memory of a united peninsula. Many of them see no benefit accruing to them from the unification of a wealthy and capitalist South with an impoverished and totalitarian North. Surveys conducted by leading institutes in South Korea say overall public support, especially of the youth, in favour of unification has steadily declined. Only two among ten South Korean students think unification of the two Koreas is necessary, a survey by the National Youth Policy Institute said. Compared with a similar poll held a decade ago, the portion of young students advocating unification fell 11.4 percentage points, according to the institute. The ratio of advocates of unification was higher among men, middle class students and urban dwellers, it noted.